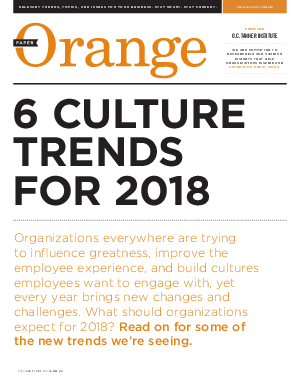 Organizations everywhere are trying to influence greatness, improve the employee experience, and build cultures employees want to engage with, yet every year brings new changes and challenges. What should organizations expect for 2018? For more information on some of the new trends we’re seeing download the O.C. Tanner Institute report.